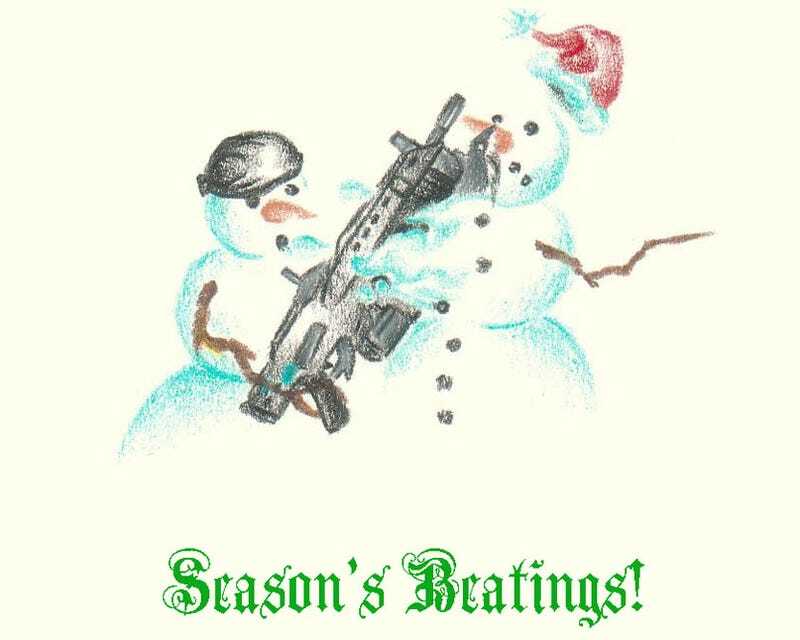 Reader Adam had some Christmas cheer to spare this year, whipping up an adorable little "Season's Beatings" card for us, something we felt we had to share with the color printer-enabled readership. Yes, that's two frosty snowmen, one of which is on the receiving end of a lancer from Gears of War. The other? Appropriately doo-ragged. Look at all that snow! Hopefully, Adam's got a 300dpi version sitting around somewhere so we can up the quality at the expense of the corporate color ink cartridge budget. Regardless, thanks, man!